What are the best systems to manage aviation training? 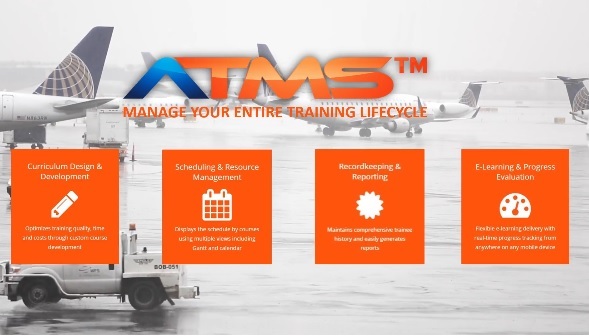 ATMS (Advanced Training Management System) is the leading enterprise aviation training software which provides training organizations with an efficient, accurate and easy-to-use electronic tool to build aircraft training programs including aircraft maintenance training, pilot training, flight crew and other aviation training curriculums integrated with individual trainee training requirements, thus enabling efficient scheduling of initial and recurrent training courses. Our aviation training systems serves many commercial airlines and aircraft training programs, as well as helicopter maintenance services and manufacturers’ training programs. Training planners can easily define and design courses for all types of training across any user-defined group of trainees. Given that curriculums vary greatly depending upon objectives, aviation training software must be flexible. Our system supports training programs for all personnel, giving training organizations the capability to design curriculums that specifically match company training requirements. For commercial aviation training programs, our curriculum structure allows for operators to effectively meet AQP, ATQP, evidence based and scenario based training requirements. ATMS maintains an audit trail of all changes made throughout the system. ATMS is the idea flight crew and maintenance aviaton training software allows aircrew and aviation maintenance training organizations to design and administer training programs across multiple aircraft fleets and manages training for self-study, classroom, flight training devices, full flight simulators, and aircraft events, as well as device time leased to customers. It handles traditional curriculum-based training methods and is specifically designed to address the AQP/ATQP and evidence and competence based approach to training. AQT Solutions’ SaaS and onsite training solutions utilize the latest software technologies and enable efficient curriculum development, compliance record keeping, and course scheduling for aircrew, ground and maintenance employees in compliance with AQP/ATQP programs including EASA and the FAA. FAA (Federal Aviation Administration) Part 121, 135, 91. AQP (Advanced Qualification Program) for FAA. EASA (European Airline Safety Agency) for ATQP (Aviation Training and Qualification Programme). Other international government regulatory agencies.